It’s been quite a while since I shared some of my work wardrobe photos (see here) and I’ve stocked up on new pieces since then, so it’s time to share a couple of them! I just bought these beautifully soft cotton navy Trinity casual pants, and teamed them with a long-sleeve red tee from last Winter’s collection, a Summery print scarf and navy flats. I tried the same pants a few days later (and oh my gosh, these washed up so beautifully and only got softer!) with a more nautical twist – a stripe tee and classic white sneakers. This turquoise jacket was a favourite from the minute I unpacked it instore! While I’ve worn it with black, white and pink on different occasions, it was a bit fun to pair it with neon orange. Notice something fab about that last photo (apart from the fact that I washed my hair)? I have a new phone cover! My lovely LOVELY husband surprised me with a new iPhone 5 and iPad Air last week, and I have been loving them! Faster photo-taking, sleeker design, and the opportunity to buy new gadget accessories? Yes please! The Dairy iPhone 5 cover – Thanks so much to Cam and the great Dairy team for the fantastic service, and for honouring my very-expired gift voucher! This super-pretty watercolour pineapple design is the brainchild of Britt Laspina, a gorgeous Brisbane-based artist and designer whose prints can be found on every thing from phone cases to high-end fashion. I love that the pineapples aren’t in-your-face bold, but are still sweet and eyecatching! Also, please know that The Dairy has possibly the best customer service I’ve ever received from an online store. The best. They are not paying me to say this, in fact, I’d be surprised if Cam even remembers me, he was just so genuinely helpful that I’m sure he’s like that day in, day out. But seriously, if you need some sort of tech accessory, give this great little Aussie company your business, you won’t be sorry. 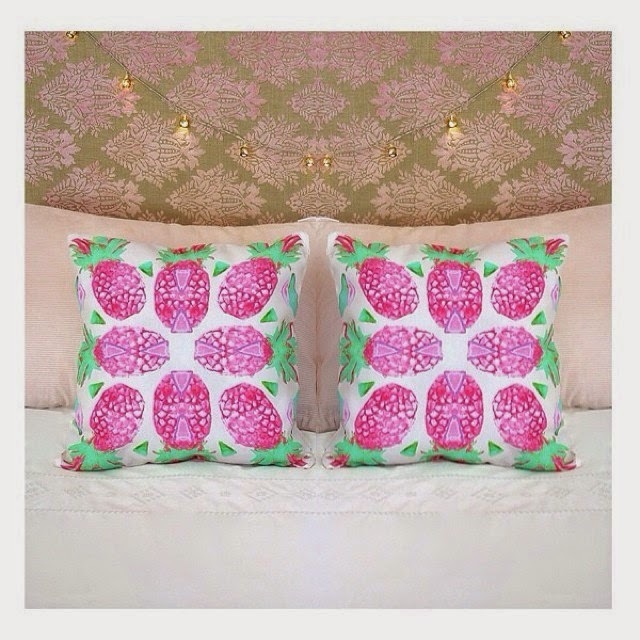 Quite clearly I am now saving for these divine Britt Laspina cushions. Do you wear workout clothes outside of the gym? How do you dress yours up a little? 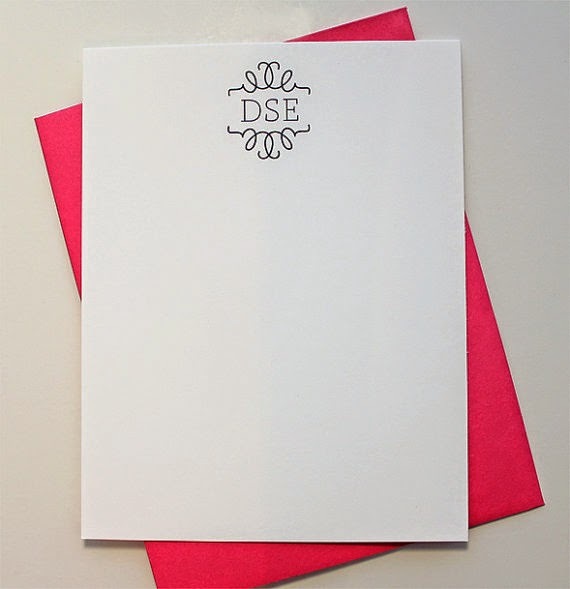 Monograms are back in a big way. 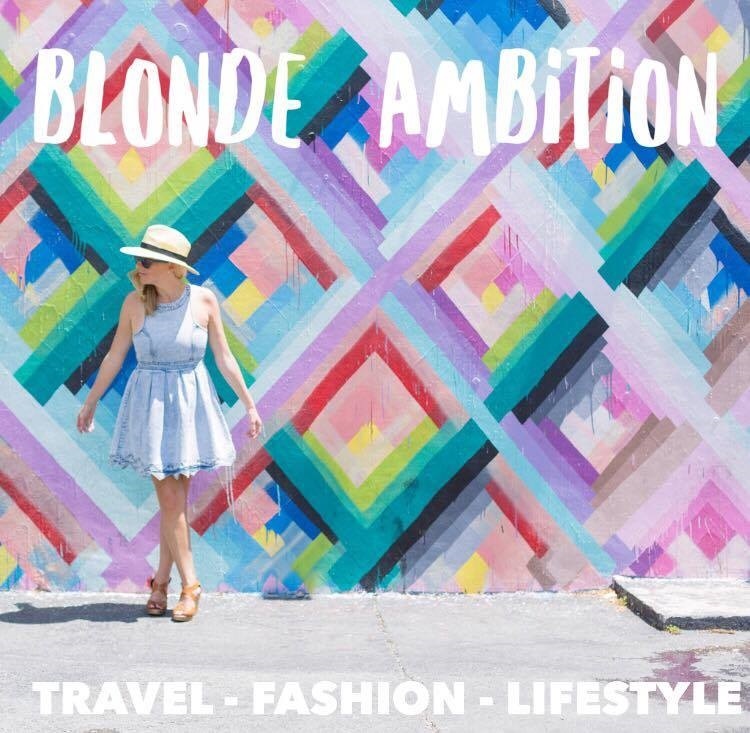 Whether it’s fashion items, travel or home style, putting your own stamp on your style (literally) is hot all over again. When it comes to fashion, classic knits with initials woven into the mix are making the rounds. But it’s monogram jewellery of all kinds that is really catching my eye this season. Clockwise from top left: Silver monogram necklaces from Just for Fun, BestpersJewellery and McLaughlinCreations on Etsy. 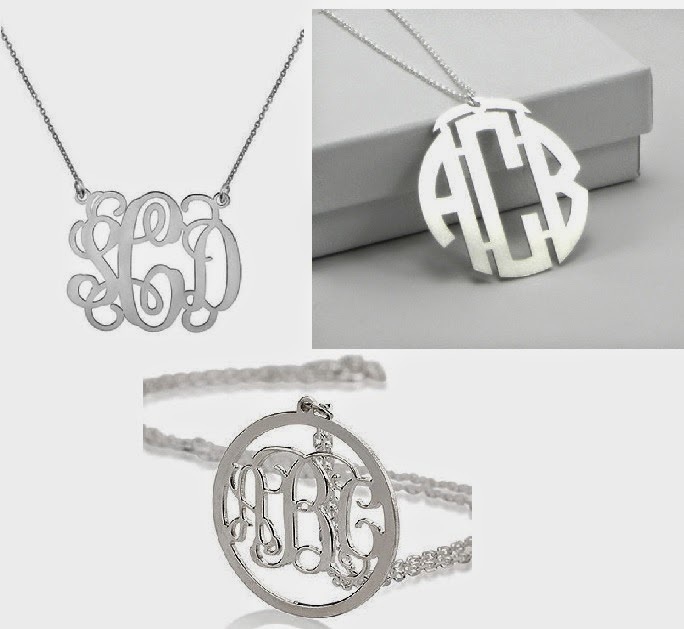 I would LOVE a classic silver monogram necklace; in fact, I’ve been searching Etsy for a while for something just right. The only problem is that I only have two initials! You see, my mother cannot stand her middle name, so when I was born, she didn’t want to saddle me with a traditional or family name that I might have hated as an adult. So I was just Katy. No middle name, nothing that can translate into a middle initial for me. (For the record, my brother doesn’t have a middle name either. Just Jamie). 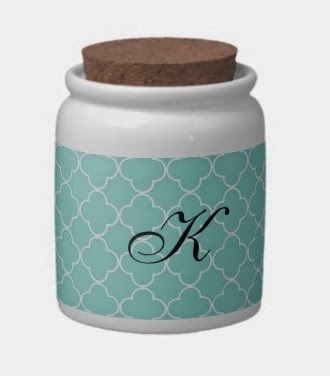 I know that a lot of married women take their maiden name as a middle initial when they’re getting a three-letter monogram, but the issue with that for me is that I don’t like my maiden name. I really, really don’t. It’s just my biological father’s last name, and I don’t care to take it back at all. In fact, I was thrilled to get a new last name when I married BB! I could just go the two-initial route, but I’m not sure I like the look of that in a monogram, it doesn’t seem well-balanced. Another chic way this trend is turning up is in home décor. 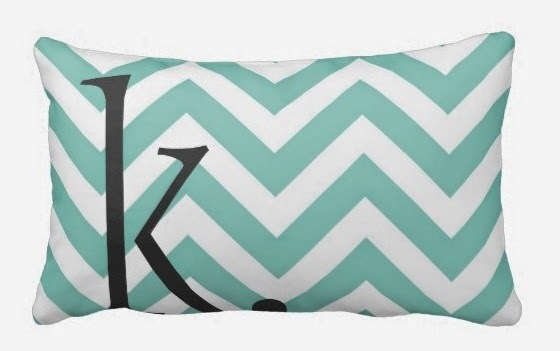 Wood letters, classic monogram pillows, bedding and throw blankets are everywhere. The key is to keep it simple with a piece or two. You don’t want to go as far as having it engraved on your front door, but a few good initials here and there can look fresh long after the trend dies down in the coming years. 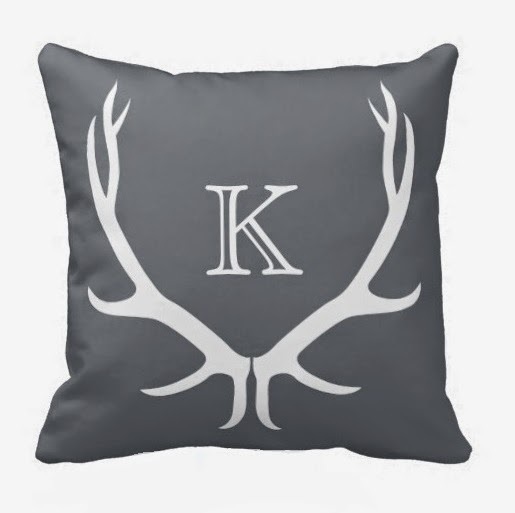 And even my very blokey husband couldn’t find fault with some fancy letters on cushions, right? I think the easiest way to get in on the monogram trend is with gadget accessories. 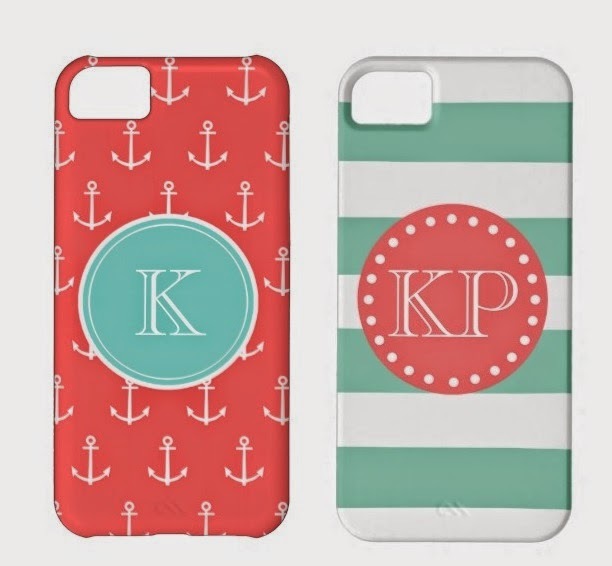 iPhone cases in a bunch of styles and colors can be found online at shops like Zazzle, and preppy journals, notebooks, note cards and date books are always a classic. So what’s the solution to my monogram dilemma? Let’s start off with full-blown, brutal honesty. Peta (of Trainee Mama) and I really don’t know much about wine, except that we like a few of one type, are open to try a few of another type, and the bottles that have pretty labels are fine too. But, we’re fancy ladies in our (very early) thirties and there are some things we just must learn. So we’ve challenged ourselves to act a little more grown up, step away from the bargain corner at BWS, and really learn about wines, to better appreciate our favourite drink. 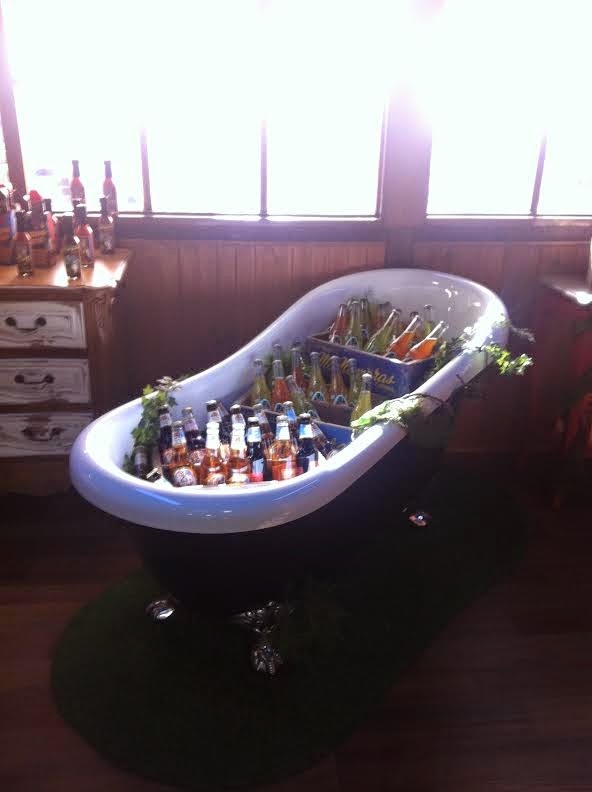 It’s time for some cellar door tasting! The problem with cellar door tastings is that someone usually has to drive which significantly reduces their ability to fully appreciate the cellar doors. 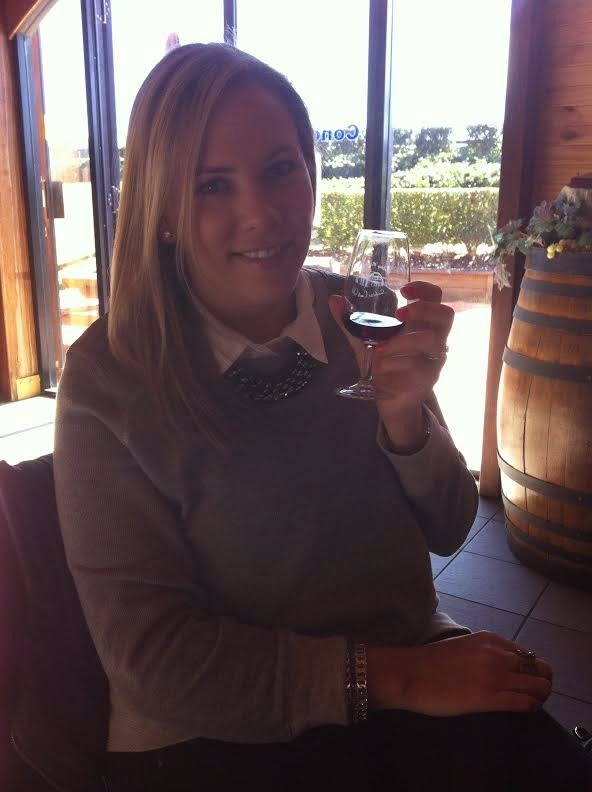 Of course one can spit the wine out but that would be quite the waste of good wine, so we were both thrilled when we were offered a driver for our day out exploring Sunshine Coast Wineries. 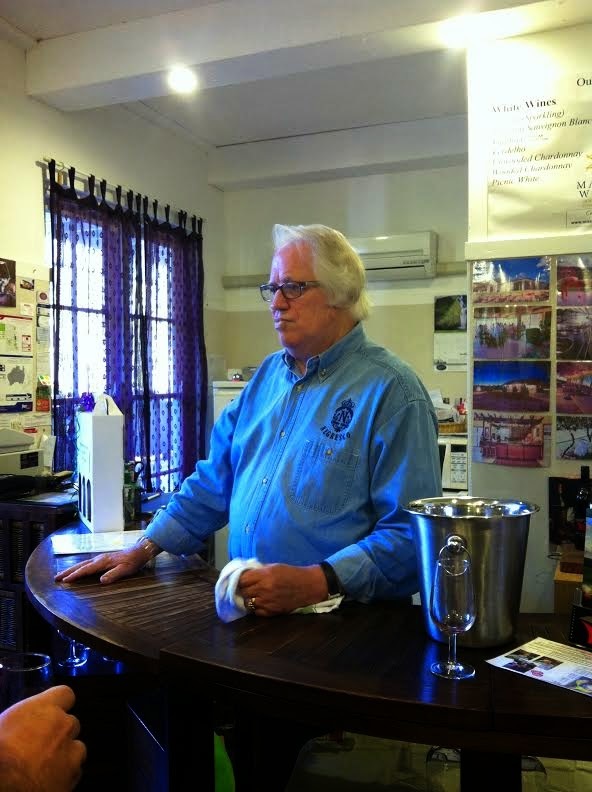 And he wasn’t just any old driver, we were lucky enough to spend a day with Nev, the very knowledgeable manager of Sunshine Wine Tours. 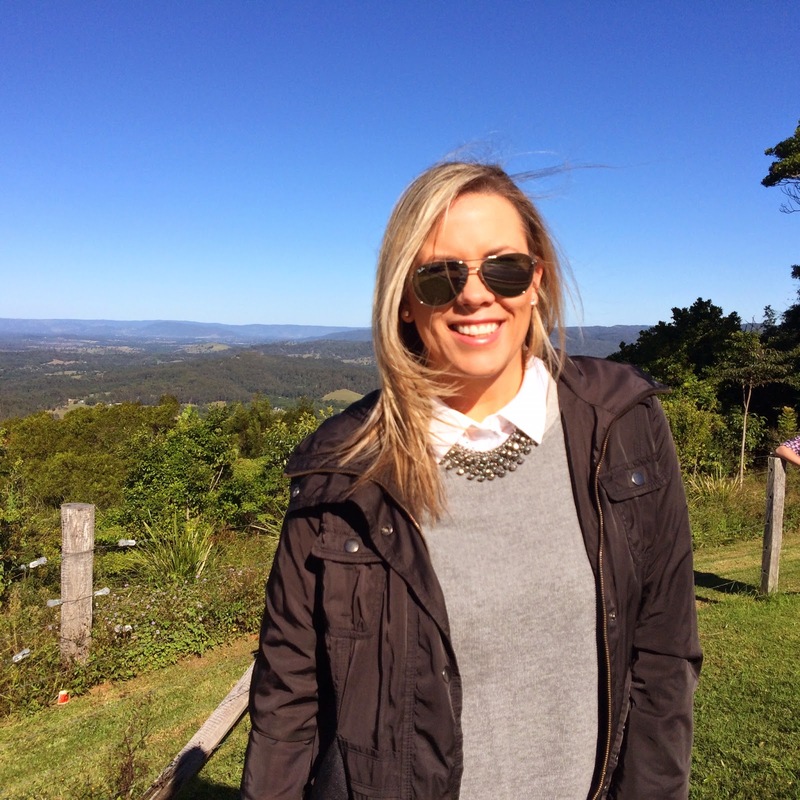 This was the first time I have visited any of the lovely wineries in the Sunshine Coast Hinterland, and I can tell you it won’t be the last! 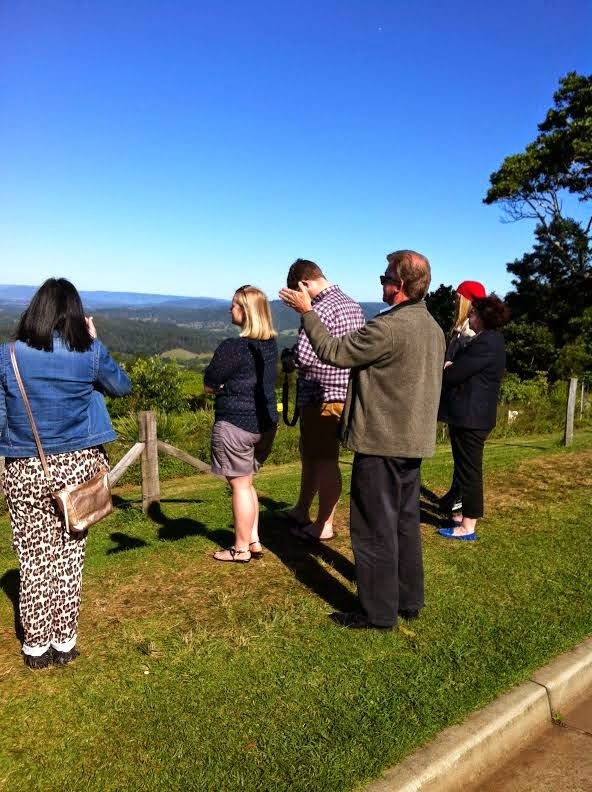 Peta and I were gifted a fantastic Decadent Day Tour from Sunshine Wine Tours, and haven’t stopped raving about it – it’s the perfect Mid-Winter’s Day Out! Jumping onboard Nev’s bus, we met two other ladies who would be enjoying the day tour with us, a lovely mother and daughter from Cairns who were spending time together as the daughter had recently moved to the Sunshine Coast – this would be a great way to see some of your new hometown and show off to visiting relatives! Heading to Mooloolaba, we picked up the final two guests for the day’s tour, a couple of Kiwis – resplendent in short-sleeve shirts, shorts and thongs, whilst Peta and I and the two Cairns ladies were rugged up for a QLD Winter! 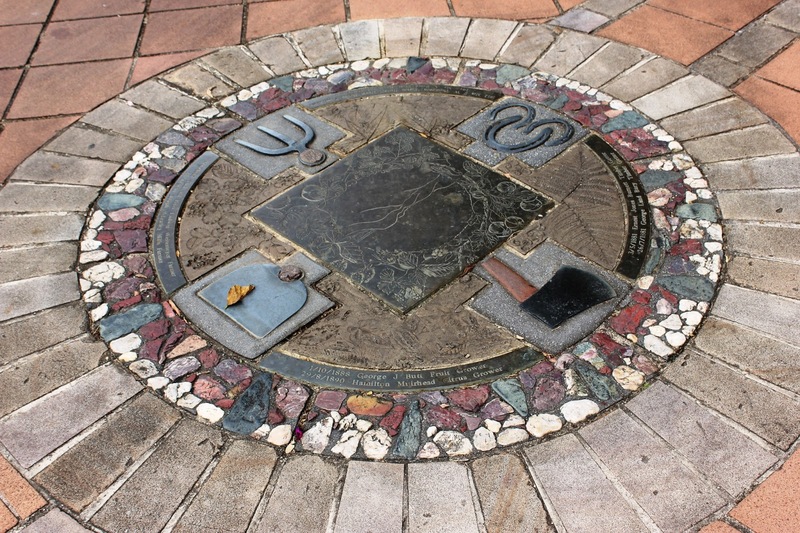 Nev is a font of information, and after a quick trip along the Bruce Highway, we stopped outside for the Landsborough Museum for a really interesting five-minute history lesson. I won’t tell you everything so that you can can experience it for yourself, but tales of pushing GIANT trees down the Range, and men holding hands and dancing at bush dances in the 1800’s had Peta and I astonished! 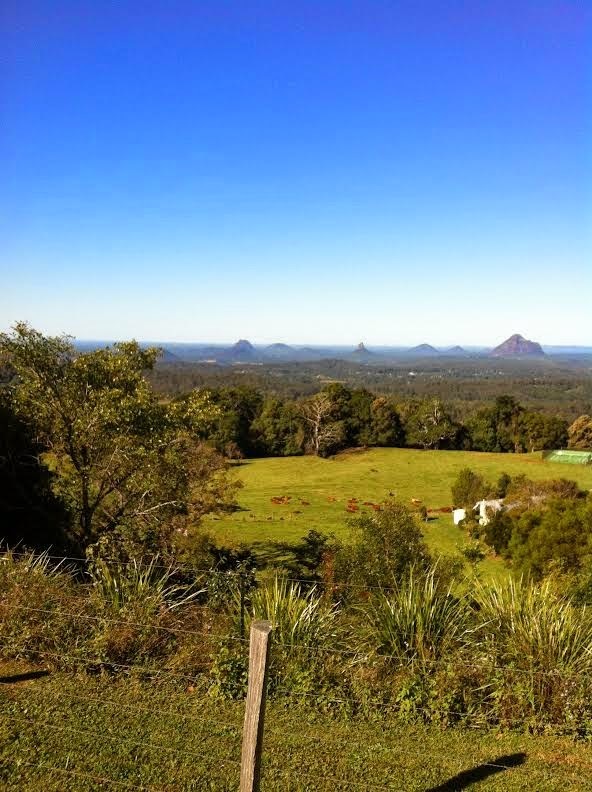 Our next stop was Mary Cairncross Park, which has to have one of the most incredible views I’ve ever seen! Nev had popped a bottle of sparkling by now (I love that he provides some bubbles to start the day in style! ), and we’d all enjoyed a tipple on the way up the mountains. Standing in the very brisk wind and beautiful sunshine, Peta and I shivered our way through a few outfit shots, but the vista was worth it! Another history lesson here (lots of really interesting stuff about the local Gubbi-Gubbi people and early pioneers) and it was back to the bus for our first winery visit. 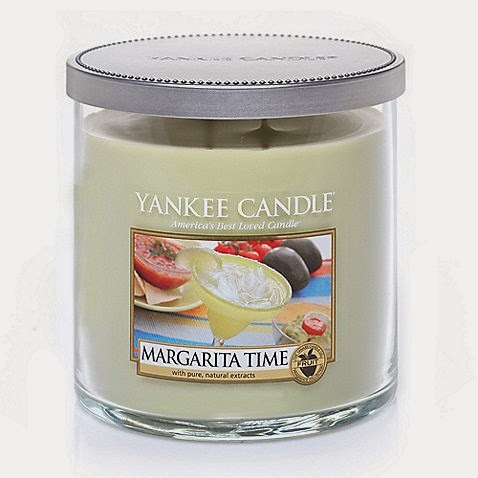 Delicious champagne and strawberry candle – am SO regretting not buying it! 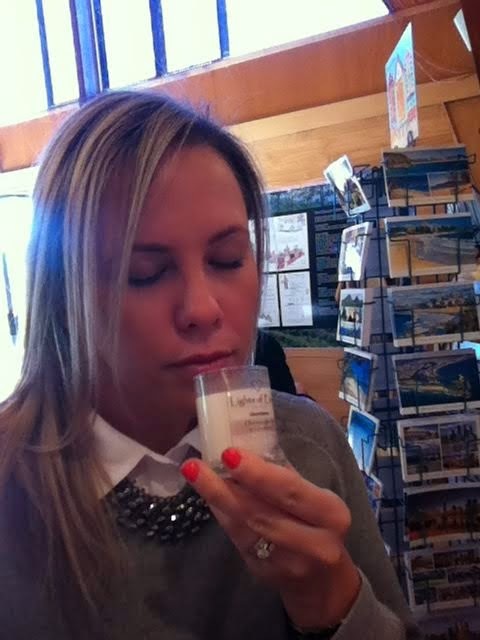 We were given an bit of an introduction to wine tasting and then we got down to the serious business. As a fairly safe Sav Blanc drinker, I tried to step out of my comfort zone and ask for the ‘bigger’ tasting wines when were offered a choice. I came away still only loving Sauvignon Blanc, but at least I tried! Thinking about the wines objectively, I’m positive that more experienced wine-lovers would have definitely enjoyed more than a few of the locally made wines on offer at Maleny Mountain Wines. I tried some red. I really, really did. But the red did not like me. 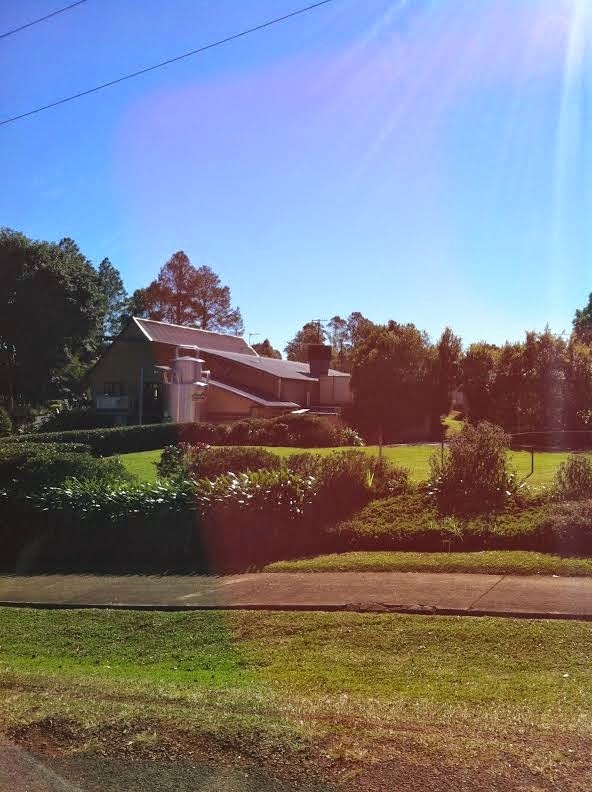 Next, we were off to Maleny Cheese. CHEESE! I had never visited this cheese factory before, despite often venturing much further afield to Kenilworth to stock the fridge with cheese. 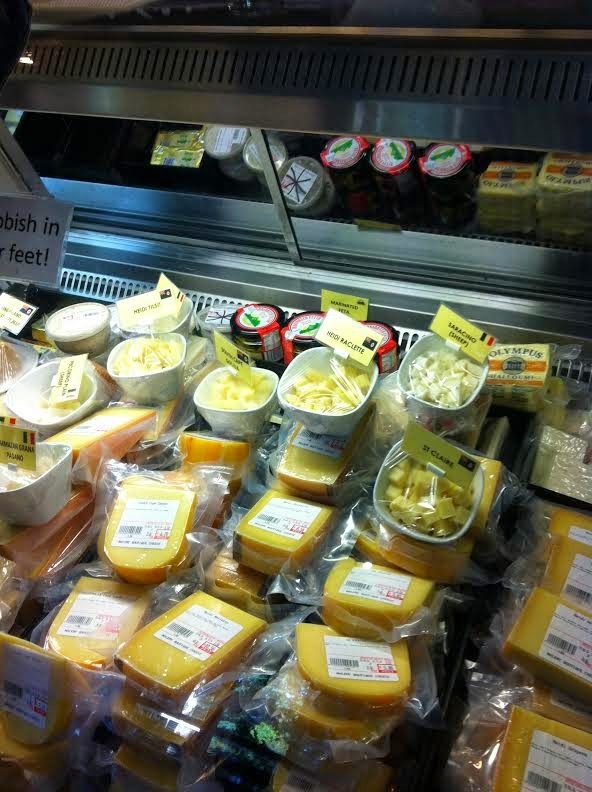 No need anymore, I’m thrilled to report that Maleny Cheese has an excellent variety of really different and unusual cheeses and yogurts, friendly staff, and it’s only 40 mins away from home! 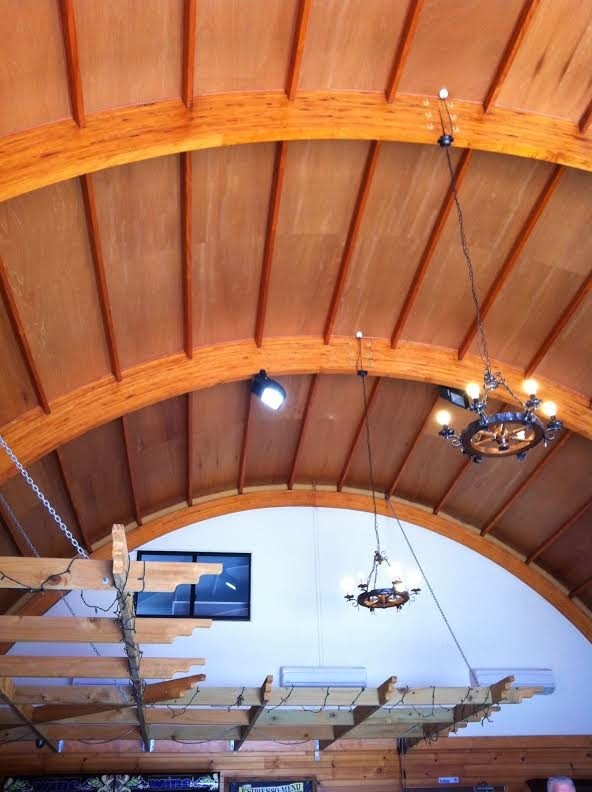 There is a cafe and shop attached to the factory, a glass viewing window into the factory to watch the cheesemaking process, and the staff were more than happy to give me samples of any of their cheeses. (So I asked for a lot of samples.) I purchased a wedge of delicious bitey King Island Stormy (a washed rind cheese with a stronger taste than that of regular Camembert or Brie), as well as a great local feta which will be amazing in salads. I think I tried most of them. Ok, maybe I tried them all. After piling us all back into the bus, Nev drove us to the charming village of Montville. 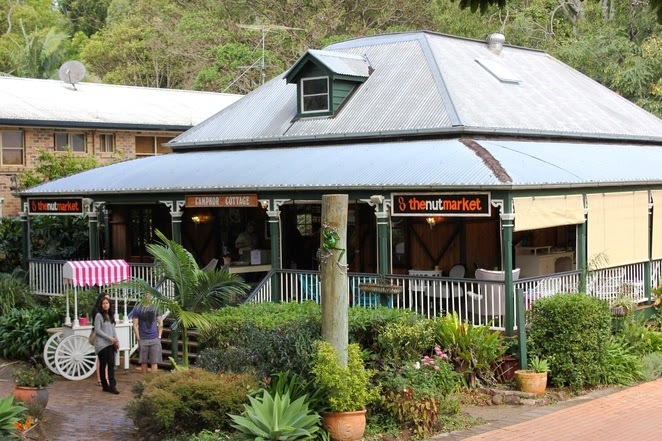 I have very fond childhood memories of Montville, as my favourite great-aunt and great-uncle lived in this little town, and visited them was like visiting Aladdin’s cave. Lots of brightly coloured shawls decorated their home, and my great-aunt (who was a yarn-spinner) would let me play with her huge collection of pretty wools and embroidery threads. 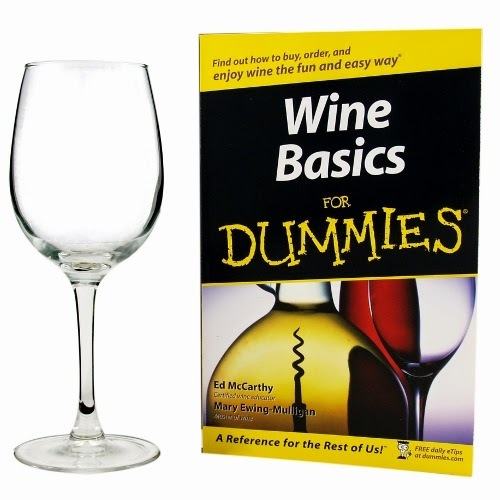 Don = hilarious and brilliant, and an excellent guide to both wine novices and aficionados. Lunch was at Montville Bar and Grill, a beautiful Tudor-style inn with generous and cosy seating indoors with a potbelly stove, and plenty of tables on the lawn and in the rotunda outside, which is where we settled as a group (obviously Peta and I snaffled the seats closest to the heater). I enjoyed a delicious duck main meal, but had some serious meal envy when Peta’s seafood linguine arrived. 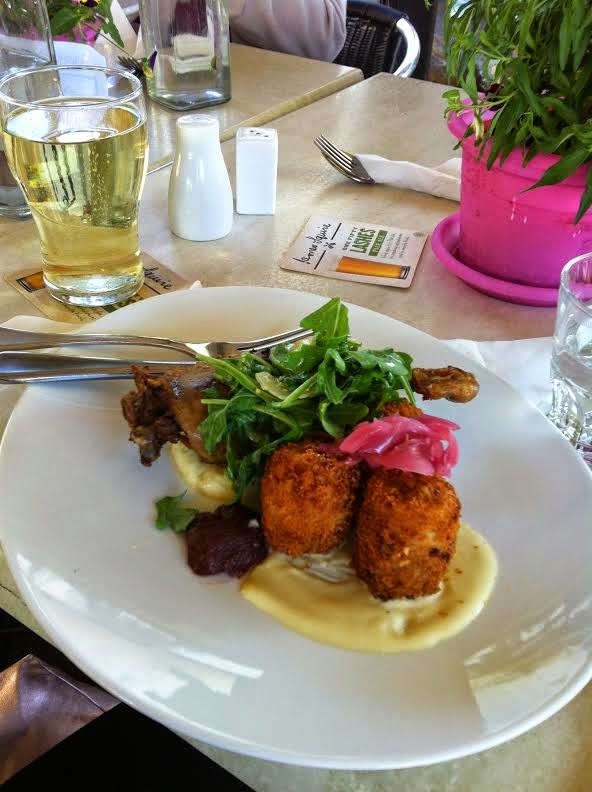 My meal of Confit of Murray Duck Leg on a bed of creamy leek and parsnip puree, served with ham and cheese croquette, rocket parmesan salad and spiced plums. It tasted as good as it sounds. 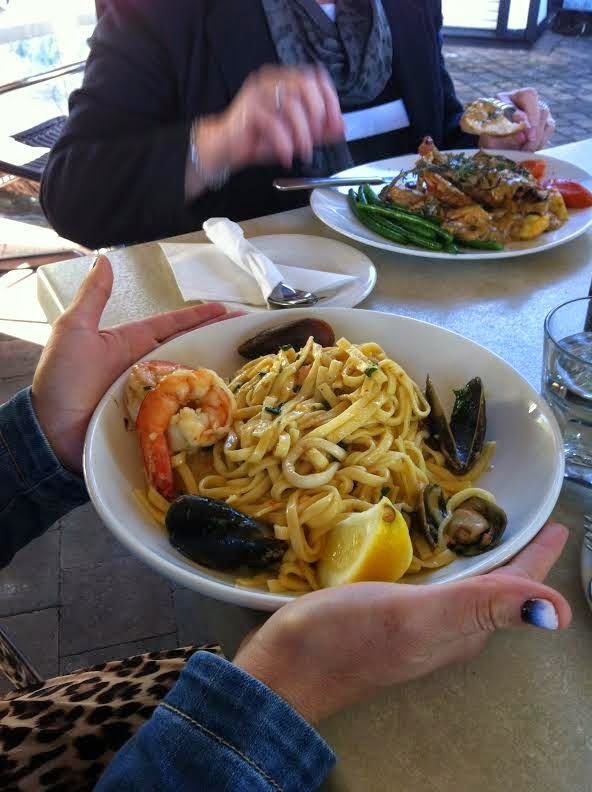 Peta’s Seafood Linguine of mussels, prawns, scallops, calamari, market fish and lemon chilli herbs. Jealous right now. I finished with something sweet (although I don’t know where I had room for it) – a tasty banana and caramel gateau. After relaxing with a very full belly by the outdoor gas heater and chatting with our lovely wine tour companions, we strolled down Montville’s adorable main street to Chocolate Country. Yep. Wine, cheese and chocolate. Nev’s got this thing very well-planned. 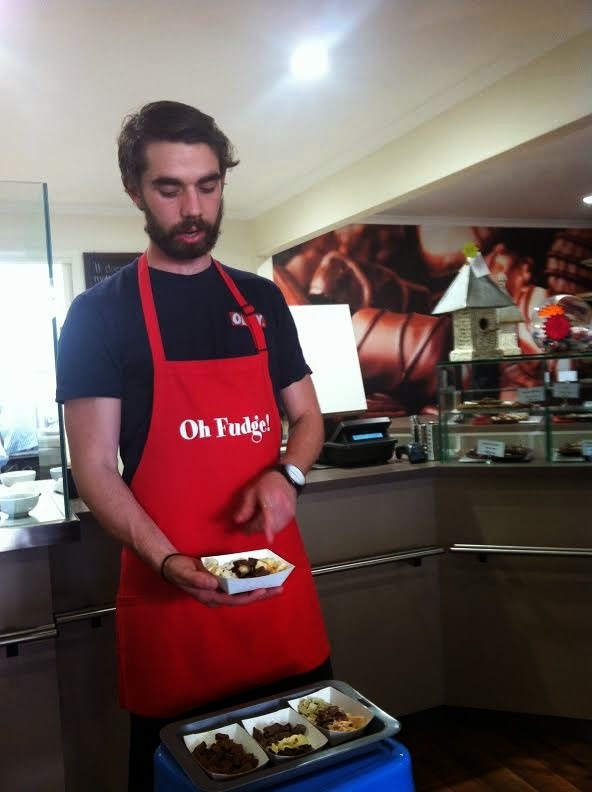 Being told about the ten types of chocolate we were getting to taste at Chocolate Country… ten. Chocolate Country is a lovely little shop producing a lot of different types of chocolate barks and chocolate truffles, and stocking plenty of really unusual chocolate and candy. Trialing them all was a real drag. Could have stocked up big time there, but thank goodness I resisted. Right next door was Nutworks… and the scent of cinnamon candied almonds was floating up the street in a very enticing way. 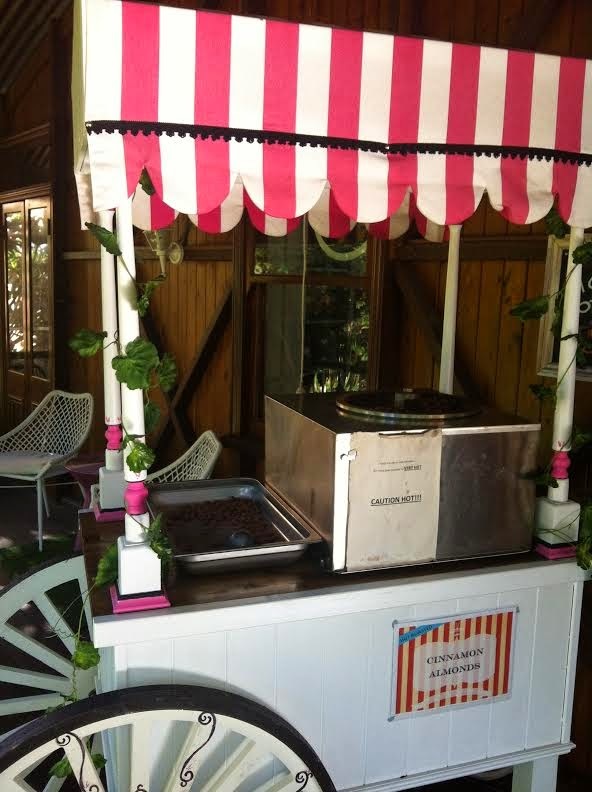 Nutworks really has a great way of attracting customers… this vintage vendor’s wagon had a lovely steaming pot of cinnamon candied almonds pumping out a very delicious fragrance. Such a gorgeous way to display retro sodas at Nutworks. 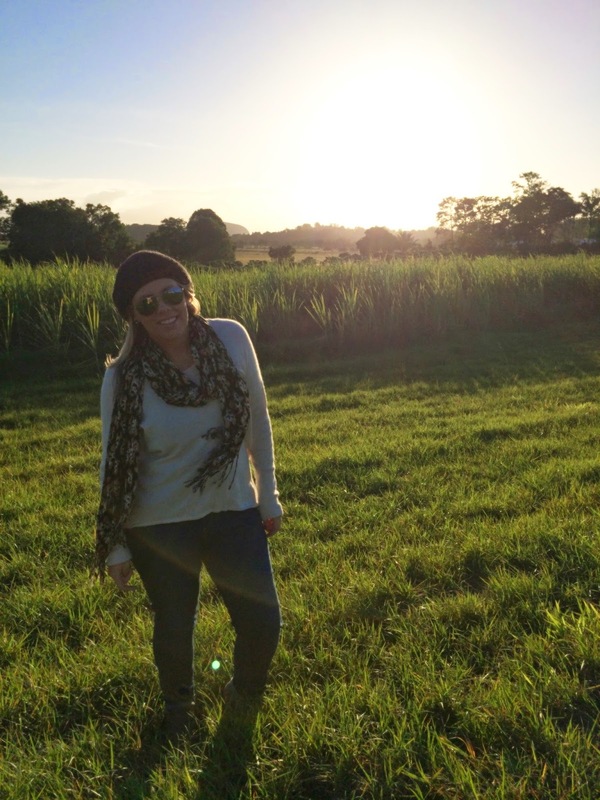 After a very welcome digestion walk stroll around the village of Montville, Peta and I snapped a few more outfit photos, then headed back to Chocolate Country for a very chocolatey takeaway hot-chocolate for the ride home. 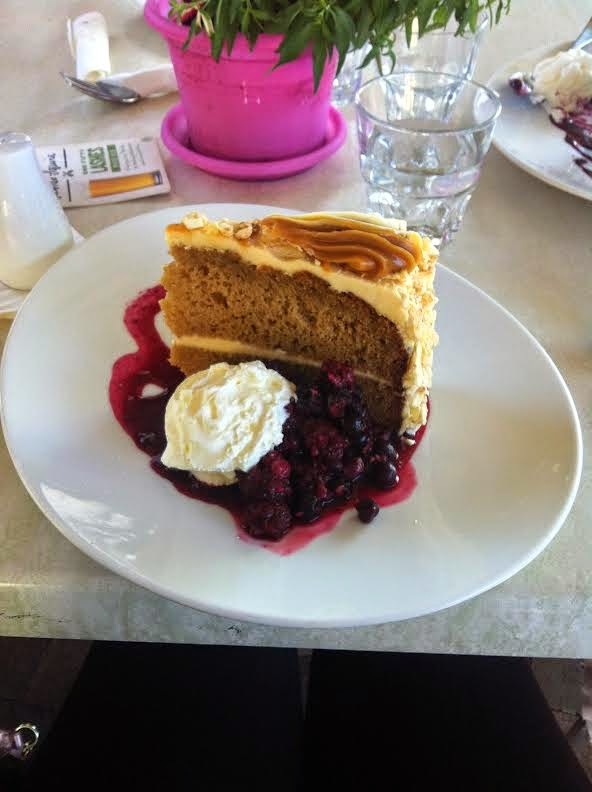 We were a pretty quiet bunch on the drive back to the pick-up spots of Maroochydore and Mooloolaba, but I’m sure it was just that we were all blissed out, very full, and very relaxed – I know I was! 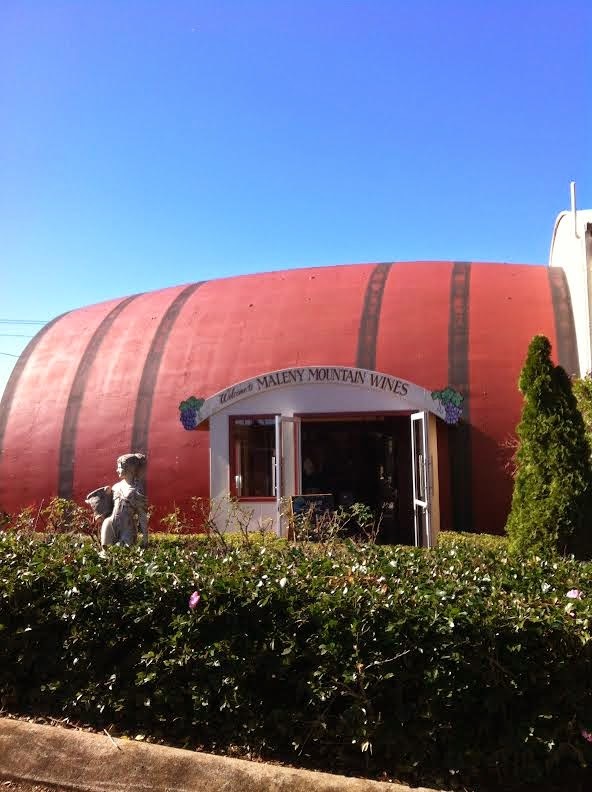 Peta and I experienced the Decadent Day Tour courtesy of Sunshine Wine Tours (thanks so much Nev), and had a fabulous day together. 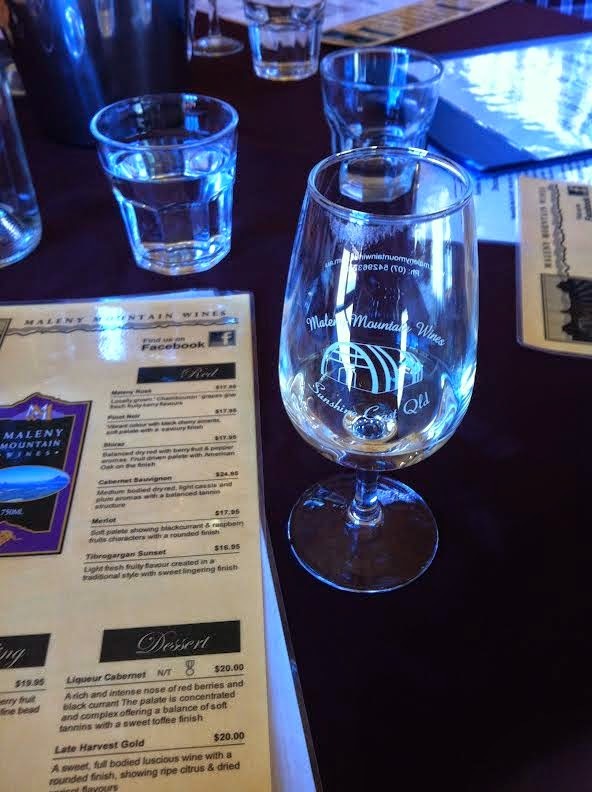 Sunshine Wine Tours also cater for those interested in local craft beer and microbreweries, so if enjoying a day out without the driving but with added fun is on the cards, give Nev a call. 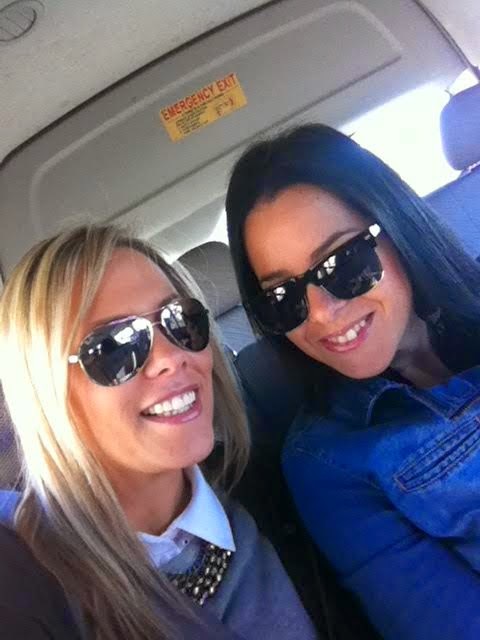 Also, Peta wrote a fab post about our day out – you can read it HERE. *These items were purchased with a discount voucher provided by Katies, with no obligation to feature product on the blog. 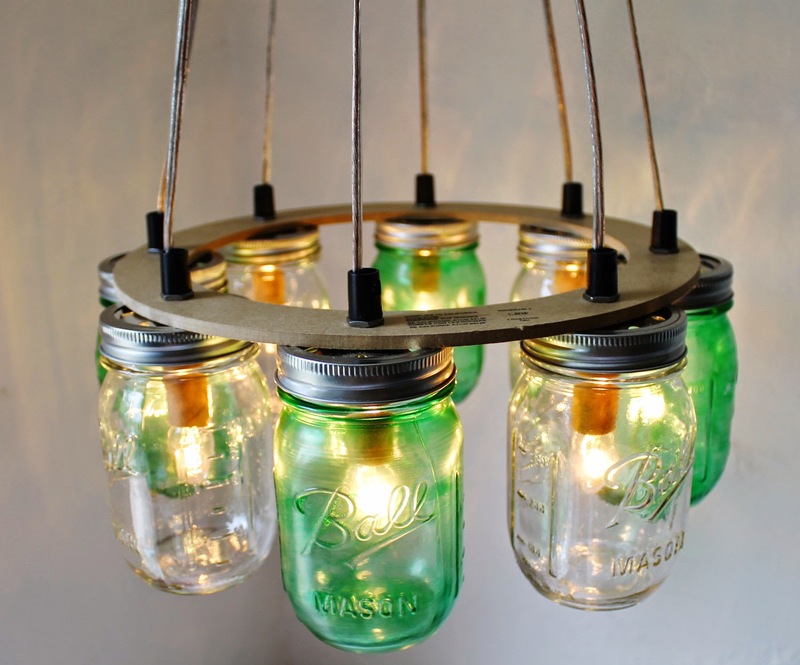 Am in LOVE with this amazing emerald chandelier from Eco Chic. In freaking LOVE. 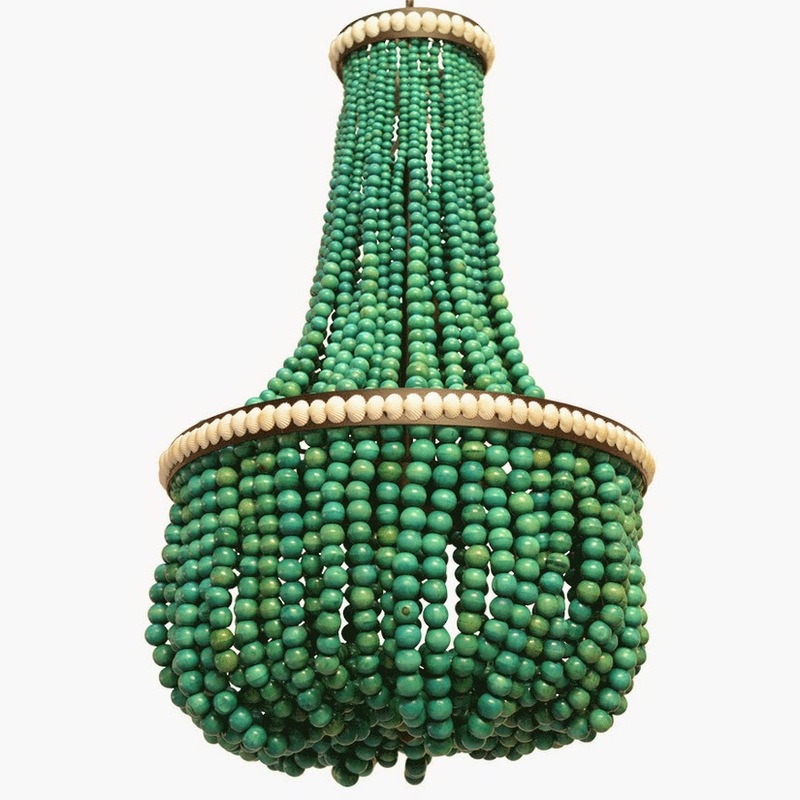 Never mind that we don’t have a single raised ceiling in our home for a chandelier, or that I can’t imagine dusting the lights that we do have, let alone jumbo beaded ones that’ll just attract dust bunnies the size of cars… it’s just so fabulous! 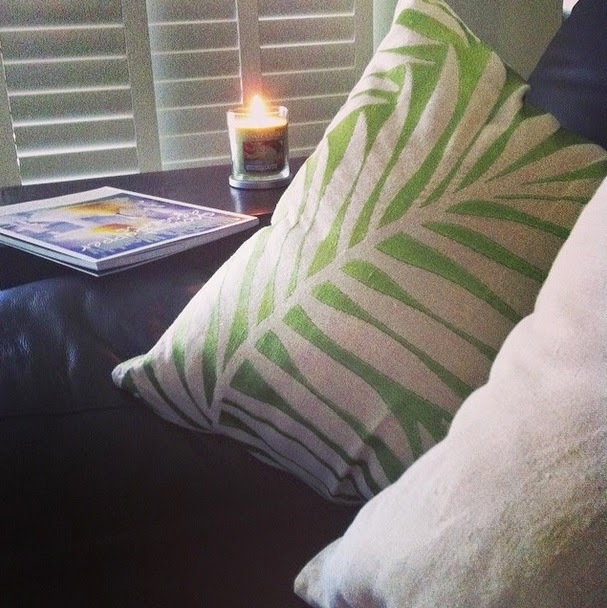 Eco Chic are a lovely Australian company well-known for creating, finding and sharing homewares with a green element, and not just in colour. 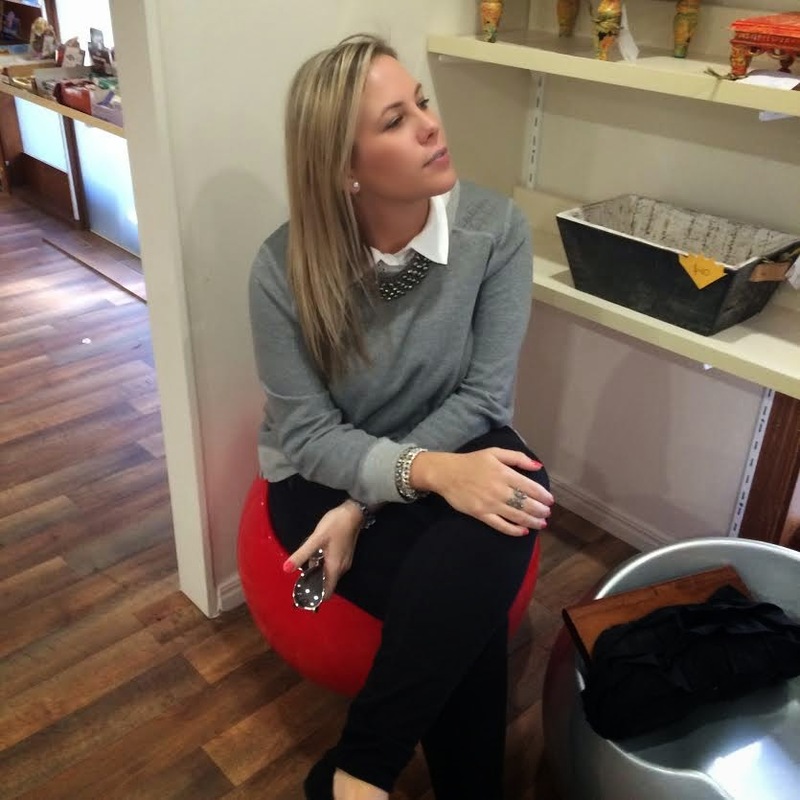 Both Paula and Cris run the company with passion and an eclectic stytle that showcases their interior design skills. 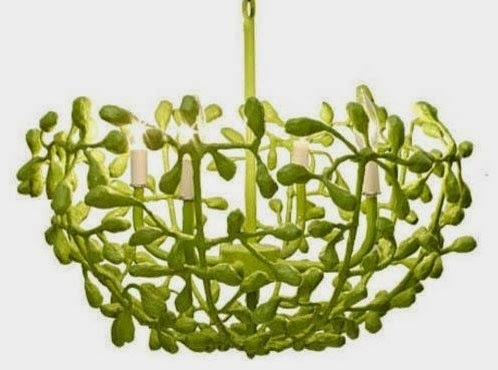 I know we’ve moved into what I call our ‘forever home’ (and that’s not just because I can’t bear the thought of moving again), but the next home we buy will have to have space for a way-out chandelier. I really can’t get this emerald lighting situation out of my head now… here are a few more that I quite fancy. Maybe I’ll satisfy my green craving with an extended Wicked playlist in the car on the way to work this morning. And then some sort of green smoothie. PAH! As if. Almost tricked you there! Right now, I am so in love with Winter. This doesn’t happen often during the whole season. Usually I’ll get one or two good weeks out of Winter before getting really. REALLY. OVER. IT. I’ve told you all before, I’m not a cold-weather person. One of the little things that is making the transition to cooler weather easier is the sweet, sweet scent of eucalyptus wool wash. Seriously. Earth Choice Wool and Delicates Wash. Smells like FRESH. I have always used wool wash on my, well… woollies; but when BB and I bought a bunch of beautiful new Sheridan bath towels during Myer’s massive sale late last year, the lovely salewoman recommended that we wash them in wool wash. And now I’m addicted. 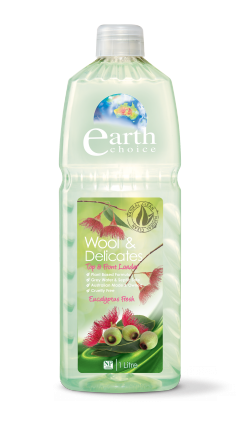 Anything that gives me comfort and cosiness (blankets, sheets, doona covers, sweaters, leggings and socks) now gets washed in wool wash. I’m loving this Earth Choice Wool and Delicates Wash right now, it smells clean and crisp and is usually available for around $2 at Woolworths. How about a handmade mini marquee light? Now THAT makes me happy. 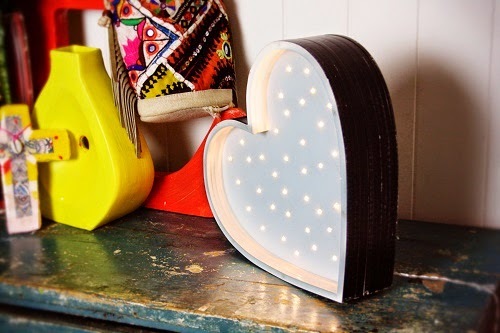 I don’t have one (yet), but these gorgeous little marquee lights are high on my list of fabulous things for the home! Bit adorable, eh? Fromage La Rue miniature marquee light. The clever kids at Fromage La Rue were the first Aussie designers to create classic marquee letter and symbol lights, and they’ve now branched out into a smaller-size collection, called the Petite Vegas Boneyard range. Surely that cool name is all you need to put a smile on your dial! These 30cm high statement pieces will be sure to sell out quickly, so the biggest problem might be choosing which one I want – I’ve been trying to decide for an hour now! 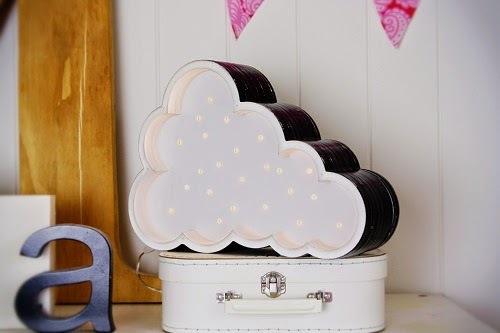 I love the heart, it’s sweet and lovely; but the cloud… surely it’s the perfect nightlight?! Follow Fromage La Rue on Instagram too, they really have a super-cute feed! Last, but not least today… I’ve discovered my new favourite makeup primer. Arbonne Makeup Primer is the business. I have always struggled with putting lovely, expensive, high-quality foundation on my face, then checking out my foundation-less reflection in the mirror an hour later. For some reason, when I slap on my slap, it slides right off, no matter the primer I use. But not any more, hurrah! 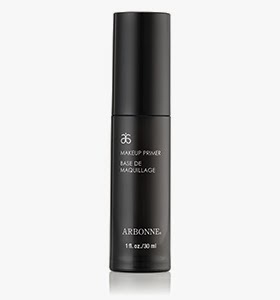 I tried the Arbonne Makeup Primer for a week, and adding this silky layer both helped smooth and fill my pores, and meant that I didn’t need to touch up my face once during the day at work. That said, I’m not sure whether it would last distance during the sleek slickness of Summer, but I’m definitely going to give it a try. I received my Arbonne samples courtesy of a local Arbonne consultant, Victoria. So far, this is the only primer I’ve found that works. Fingers crossed that it can do the job during Summer too! Anyone else found an amazing primer lately? Some sort of bricklaying grout to help your foundation stay put? Any and all suggestions are gratefully appreciated. When Peta text me to say that she noticed that a field just down the road from my house had excellent photo light at 7 in the morning, my first thought was ‘You can enjoy that without me, love’. Then I realised it’d been yonks since we’d snapped each other’s outfit photos, and also it would be an excellent opportunity to snuggle Ned in his pyjamas one morning before work. So I said yes. We arranged our rendezvous early one weekday morning, so Peta was wearing a cute work-appropriate outfit (you can see the pics here), but I figured that the internet has had just enough photos of me wearing Lorna Jane, so I would actually put on regular person clothes at 7am, then head home for a quick change into the lycra, then drive to work. Sensible, no? I can see quite a few future outfit posts being shot at this location… it’s doing glowy wonders for my not-so-Wintery-glowy skin! This is what we do when we have other things that we should be doing at 7am on weekdays. So yeah, you could say we’re committed to this blogging business. I like to dance when I’m awkwardly posing for outfit photos. It seems to loosen the photographer up. All pieces my own, nothing gifted, however I’m going to be collaborating with Katies very soon for some new-season outfit posts. And without giving too much info away… there will be wine. Whilst Winter has many benefits – hot chocolate, snuggling and my husband’s slow-cooked dinners, to name but a few – I really struggle to put together decent outfits in Winter. I love boots, but I don’t have many pairs. 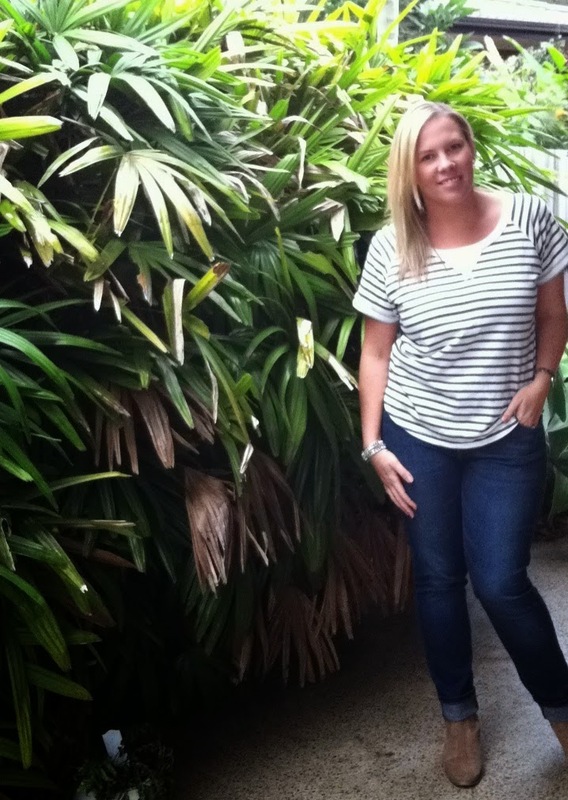 I love jeans, but I don’t love a lot of my jeans – they are never comfy enough for the whole day. And I have a mighty large collection of Winter hats, beanies and scarves, but I just can’t seem to put them together without looking like I’m headed to the ski slopes. You see, it’s cold enough here right now for jeans and boots, but still gets warm enough during the day that I want to take jumpers and sweaters off. Annoying. 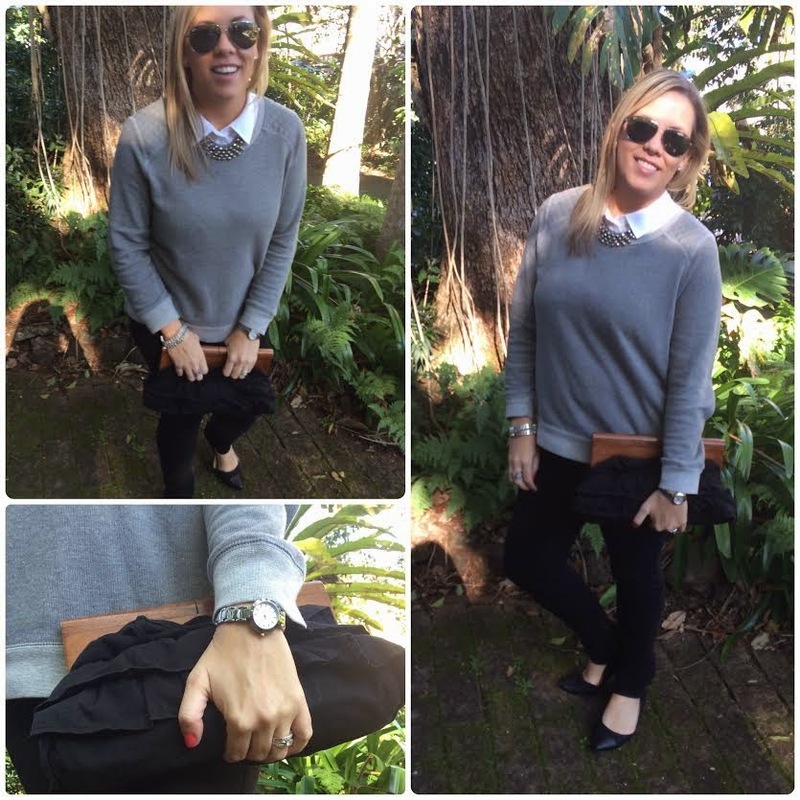 This outfit is pretty perfect for Queensland’s mild Winter days. 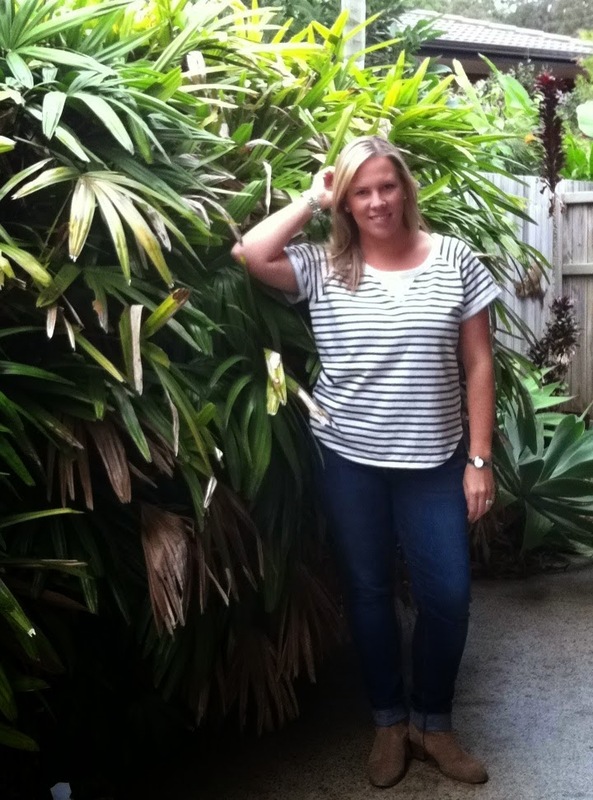 A short sleeve Bonds sweater tee, and my new Uplifting Jeans from Katies*, paired with my all-time favourite ankle boots. Cosy enough, but I’m not going to need to add or strip layers through the day. These jeans are my new go-to jeans, I swear. Light and stretchy denim, and the perfect mid-wash to go with everything. Plus, the way they’re darker down the inside and outside of the legs makes my legs look longer and slimmer. Optical illusion for the win! *Nothing gifted, nothing sponsored, all my own purchased pieces. 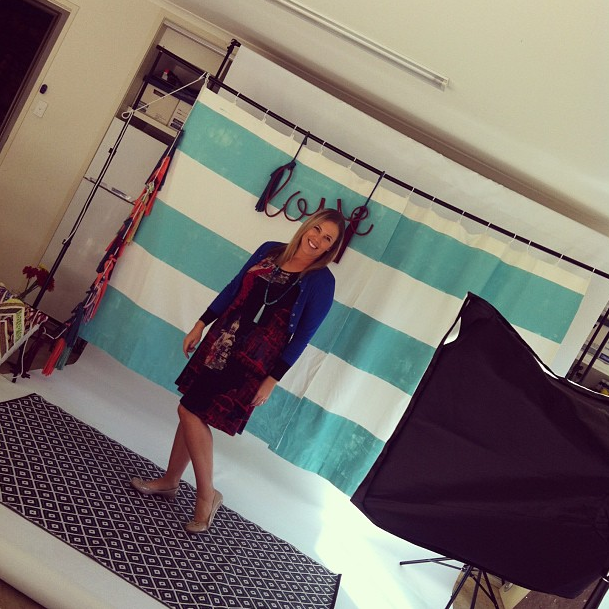 That said, I’m really excited to be collaborating with Katies in the future for some amazing outfit posts! Keep your eyes peeled, kids! 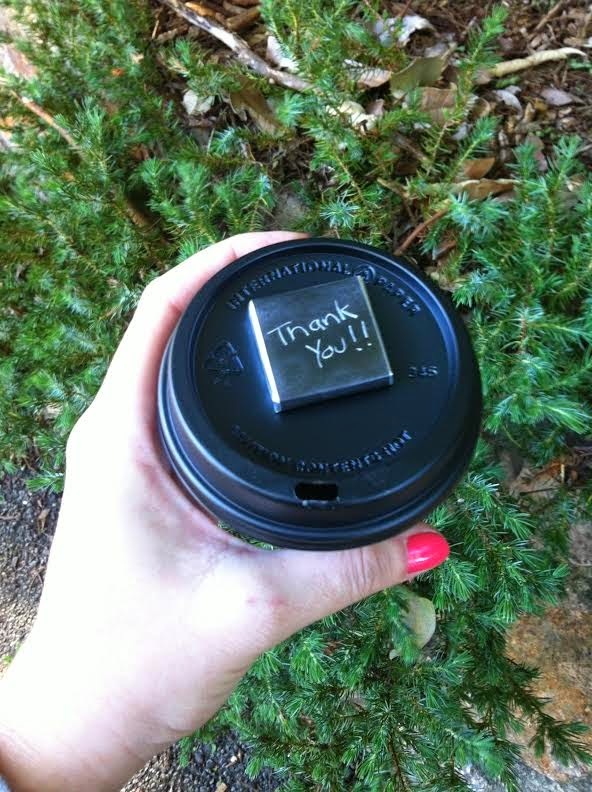 Sometimes one or two of the smallest things can make my whole day awesome. Whether it’s a new beauty or bath product I find on sale at the supermarket, or my favourite tune popping up on shuffle when I start my car… these are the things that I want to share with you guys. 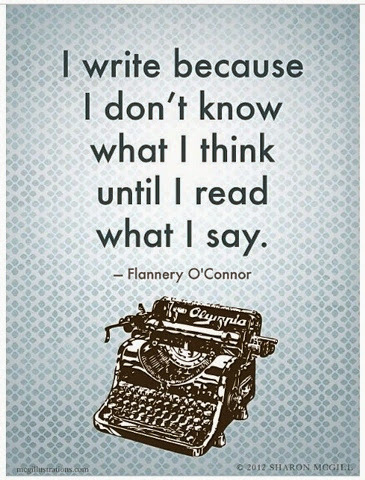 And maybe, just maybe, I’ll do it semi-regularly, like a good blogger would. all from Home Secret. Hopefully these newbies will keep my home feeling Summery for just a little longer! While the calendar says that it’s almost Winter, here in South East QLD we’re appreciating a very unseasonal warm patch! Normally this time of year, we experience dry and mild days, but right now it’s sunny with an average high of 25 degrees! The only thing is… it’s still really dry, and my scaly skin is really showing the signs! 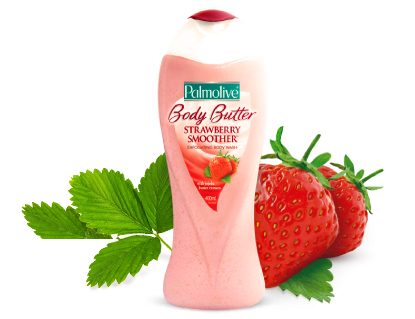 I’m loving this Palmolive Strawberry Smoother Body Wash right now, it’s SO strawberry-scented that it takes me right back to the mid-80’s and my prized Strawberry Shortcake mini figurines. What? You’re not old enough to remember these…? Go google it, younglings. They were AWESOME. This is the perfect way for me to start my day, it’s fresh and fruity and it granular enough to make me feel like I’m really scrubbing away the dirt and icky skin cells, but body-butter soft enough to feel luxe. And that’s how easy it is to please me, folks. Surely that’s not a bad thing? 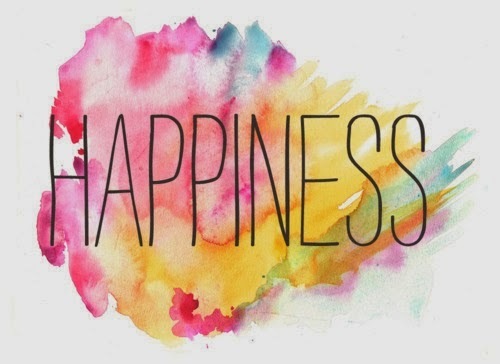 What are your little pleasures? And how do you deal with dry Winter skin, I am so curious about what other people use! I confess, I was slightly jealous when I returned from our cruise holiday and totally stalked checked out what my friends have been up to my absence. 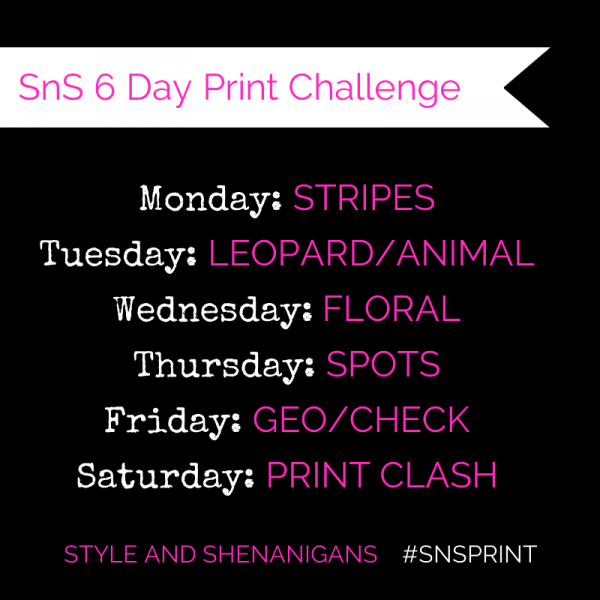 It seems as though I missed the SnS Print Challenge set by the divine Vanessa of Style and Shenanigans, and oh what a shame! 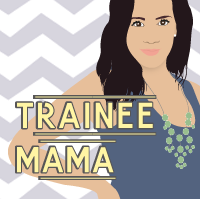 I would’ve had SO much fun with this challenge… I mean, take a look at the prompts! Wardrobe heaven! I have long loved prints, in all shapes, sizes and forms, and have trawled my outfit photo archive (which is Instagram, right) to find some of my favourite print ensembles to share. Unfortunately, I don’t get the chance to wear most of my pretty prints these days, but I live in hope that I will score my dream education administration role one day and all my frocks and blazers will come out to play! 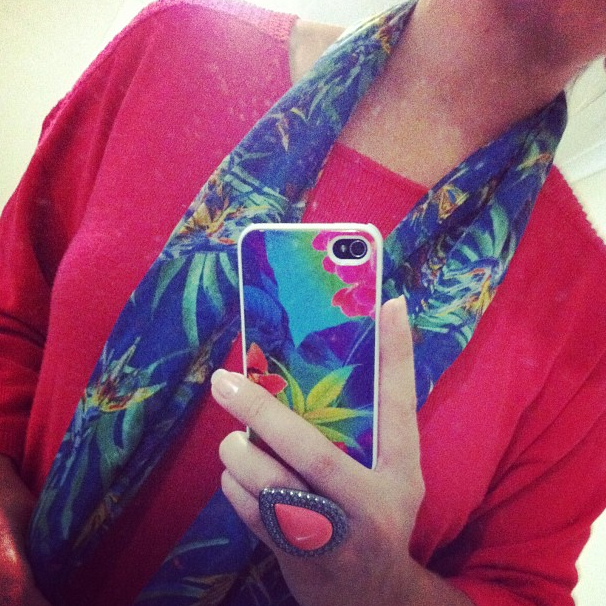 When the weather calls for a chunky Country Road knit, but your mood shouts TROPICAL… throw on a beautiful scarf, and add a Samantha Wills Bohemian Bardot ring and Seafolly iPhone cover! For slightly less Summery prints, but no less bright and cheery, check out Furbish for beautiful scarves (these are only $20)! 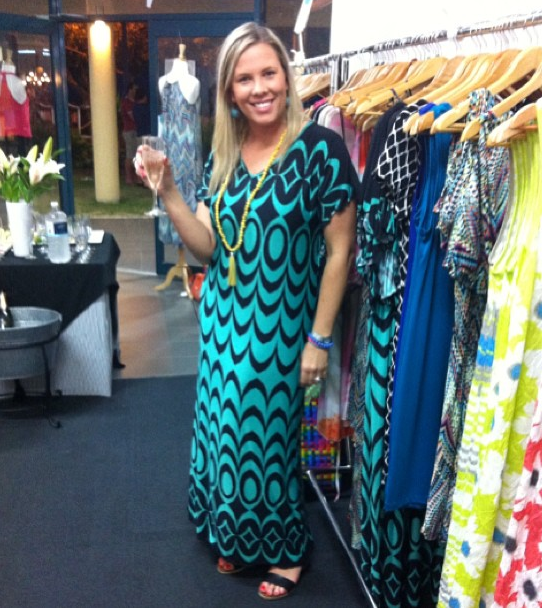 My lovely local friend Leonie of Verily does amazing work with prints and maxidresses! and the print is magic! Look at all the prints. Look at them! I was lucky enough to be Leonie’s ‘Buyer’s Assistant’ on a trip to some amazing fabric wholesalers last year, and learnt so much about the incredible world of prints. 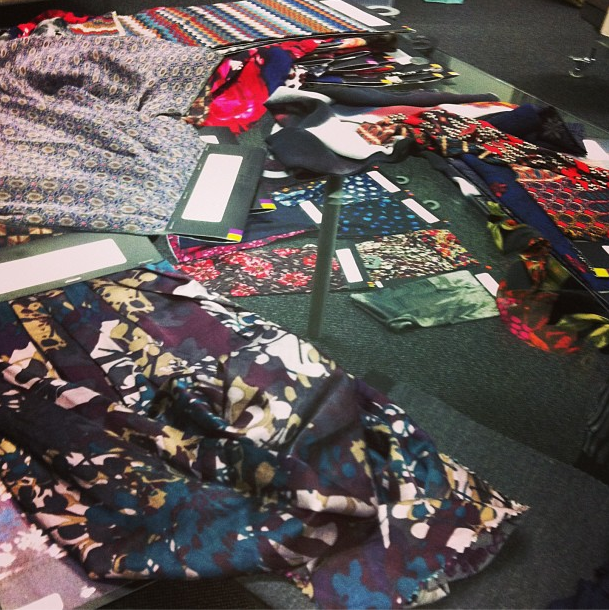 If you look closely, you might even recognise some of these pretty florals from the latest Verily collections. Here are some recent Verily pieces, and on a real model too (you’re welcome). 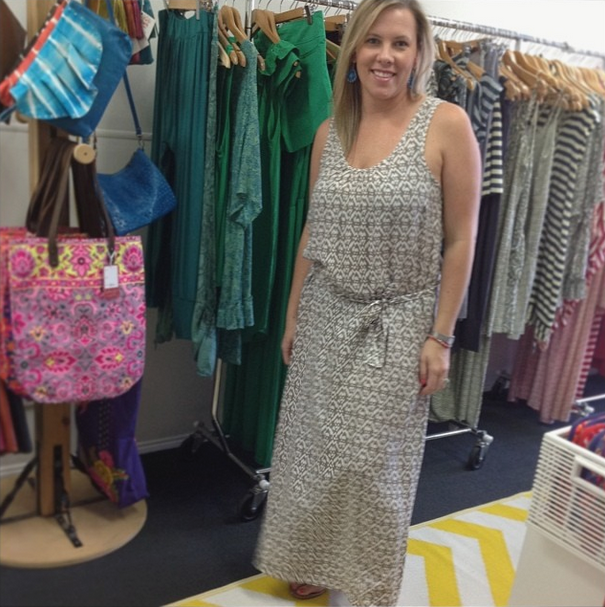 Here’s the gorgeous Carolyn Donovan (yep, I’m proud to call this glamour mama and author a friend of mine) modelling the heck outta these frocks! While some of my prints are very fun and frivolous, others pack enough punch to make a statement at work. 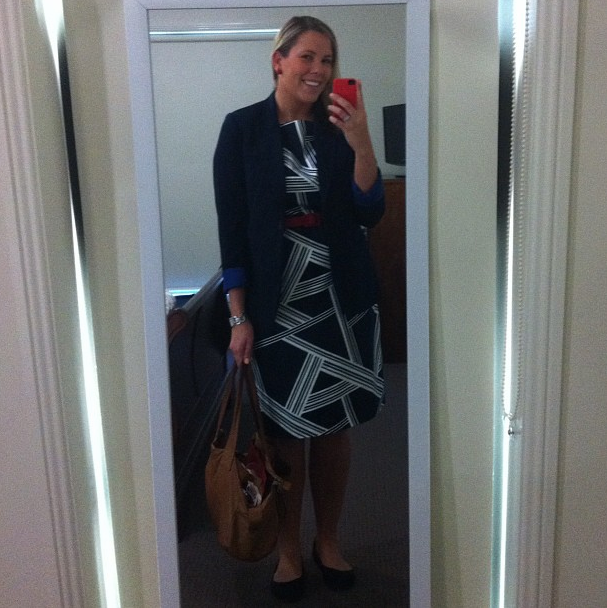 This is my go-to ‘get shizz done’ ensemble – navy print Jane Lamerton frock, red belt and earrings, navy blazer and ballet flats. 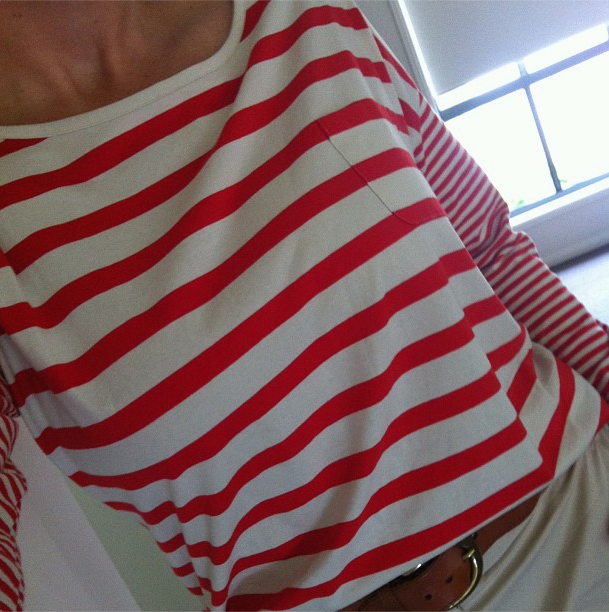 A classic long-sleeve Trenery tee gets a little more oomph mixing both thick and thin stripes. 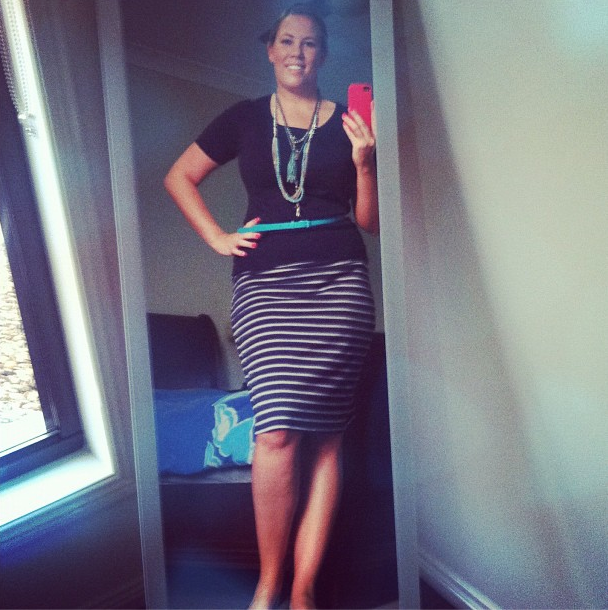 I even wear stripes on the bottom – Emerson navy top and striped skirt, with turquoise neck party: turquoise rosary, turquoise chains, and turquoise and timber Tibetan mala. 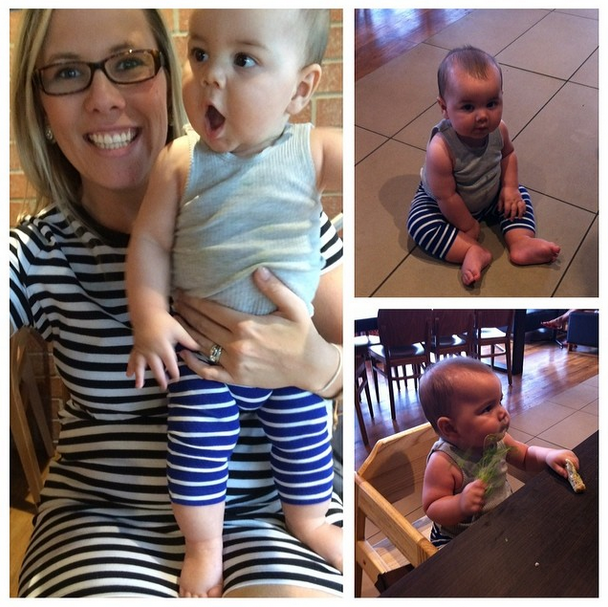 Ok, I admit that it’s a gratuitous photo of my favourite little guy*, but it’s also a pretty decent photo of Ned and I rocking some matching stripes – my favourite print of all time! See. I likey some print action. What’s your fave print, folks? And did you join in the Style and Shenanigans Print Challenge? In other news, I was lucky enough to meet up with one of my favourite ladies yesterday morning for a good ol’ gossipy catch-up – the lovely Bev of Iris May Style. Oh boy, this woman makes me laugh. Having just returned from an, um, interesting cruise that we’re still unsure of (shall recap in future blog posts, if I can be bothered), and receiving devastating news on our last day at sea about the passing of a dear friend, I really needed a good hug, and the kind of laughter that only comes when you don’t care whether your companion thinks you look ugly while laughing and snorting. Thank goodness for friends like this. The short version of what I’m trying to say is that a long while ago, when BB and I were just starting out, and getting to know each other (even though I knew the night that I met him that I wanted to marry the shizz outta him), we lived in a townhouse in Hawthorne, Brisbane. A very close friend of BB’s came to stay with us for a while, and during this time I grew to love him as a giant teddybear-ish big brother and friend. He loved BB and brought out all his best qualities, in fact he made everyone better when he was around. He was hilarious, smart, and knew way before BB and I did that we’d end up happily ever after. In fact, it was him living with us that drew us even closer together! And… he gave me the nickname Katy Potaty. I’d never been called that before by anyone, and soon BB and everyone I knew was calling me by this kooky little rhyming name. This gentle giant passed away unexpectedly last week, and while it will take a long time to feel ok about it, I’m really really pleased that in a tiny way, he’ll always live on in every single one of my social media handles. 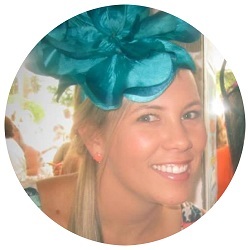 If I ever thought about changing my online profile before, that thought will not surface again. *Wondering who that little man is? Well, you obviously don’t follow me on Instagram, because I feature young Ned regularly. Meet the Nedster, the sweet son of my bff, Peta of Trainee Mama. Feel free to obsess over those chubby cheeks all you like. I do! I’m not here right now… I know, you can express your disappointment in the comment section below. I’m sailing the seas on a Pacific cruise with my husband*, and shall be Internet and phone free for twelve whole days. I KNOW. I’m kinda nervous abut it too. I mean, I carry my phone or iPad around the house with me, I check my emails, Facebook and Twitter multiple times a day, and can’t even tell you how often I refresh my Instagram feed. Staying connected is REALLY important to me, and one of the hardest parts of committing to going on this cruise was knowing how disconnected I will be. I would like to check in online during the cruise, but a combination of exorbitant wifi costs and the strong desire to see if I can manage the time without connection will most probably prevent that from happening. I certainly don’t hold any misconceptions and don’t for a moment think that the Internet can’t function without me, so please, carry on posting awesomeness… I’ll just check it all out later. My iPad is coming with me, I’m hoping to write a little (or ideally a lot) whilst we’re away, and will try to keep all photos in chronological order so I can overshare on Instagram when we are back on dry land. You’re welcome. *Please know that we have both a housesitter and a large, slightly ferocious dog minding our home while we’re away, so don’t get any ideas about raiding the fridge.